There’s something about the new year that makes me want to have a complete overhaul of my life, whether its clothes, hair, body or home I love switching things up. 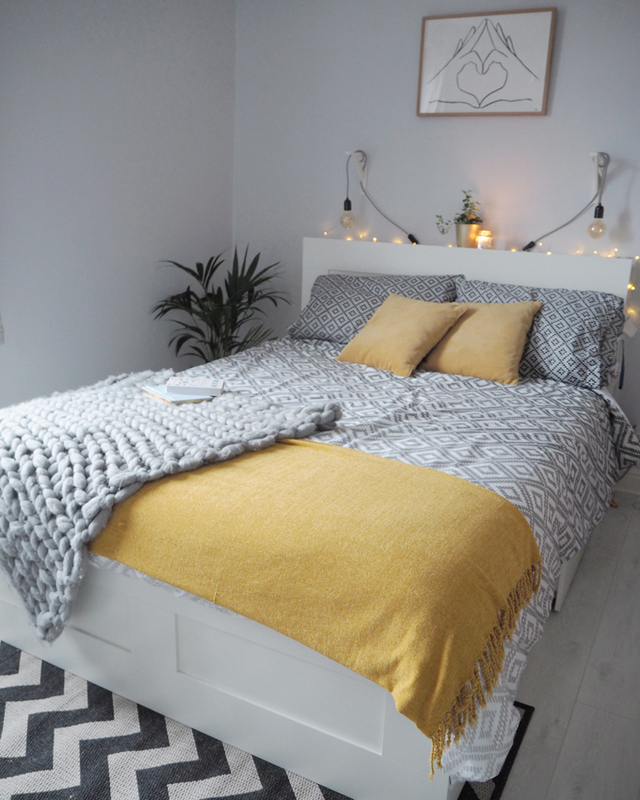 I have been focusing on refreshing our bedroom this month as it was looking a little tired, plus we hadn’t really changed it much since we moved in. 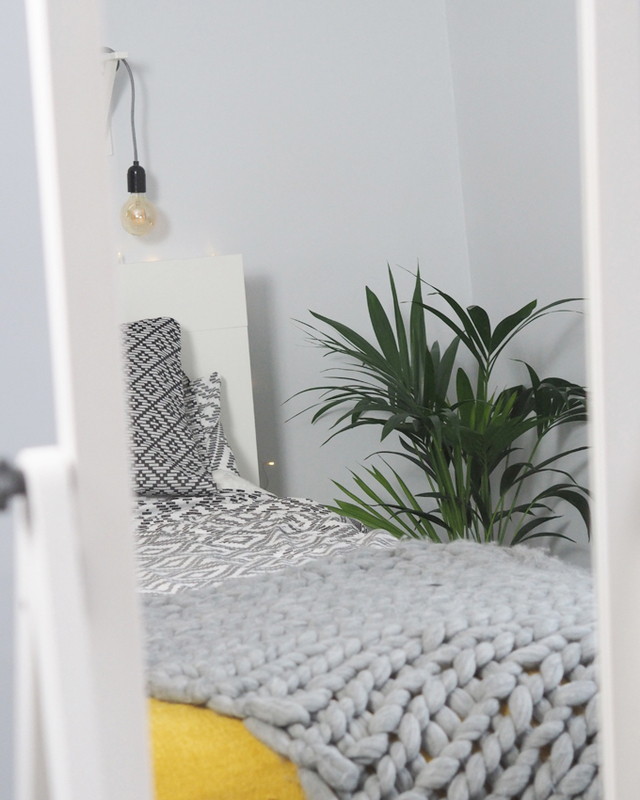 The bedroom is probably the most important room in the house when it comes to our wellbeing, from getting a good nights sleep to choosing what to wear, we need to feel comfortable and confident here. 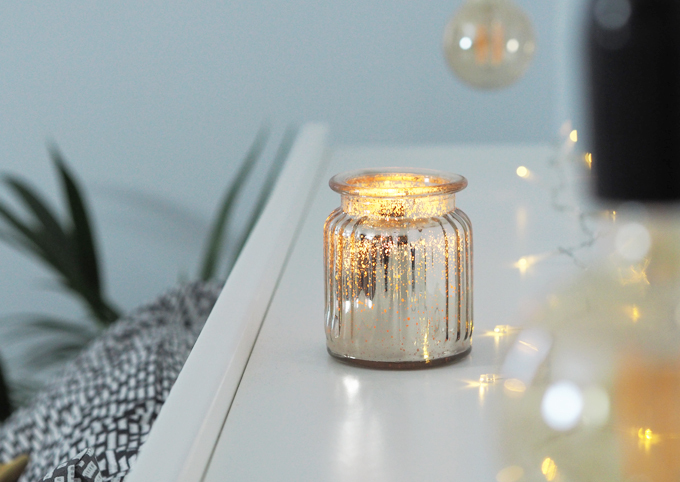 We spend longer indoors in the winter months so it can be the perfect time to really invest in revamping your bedroom. 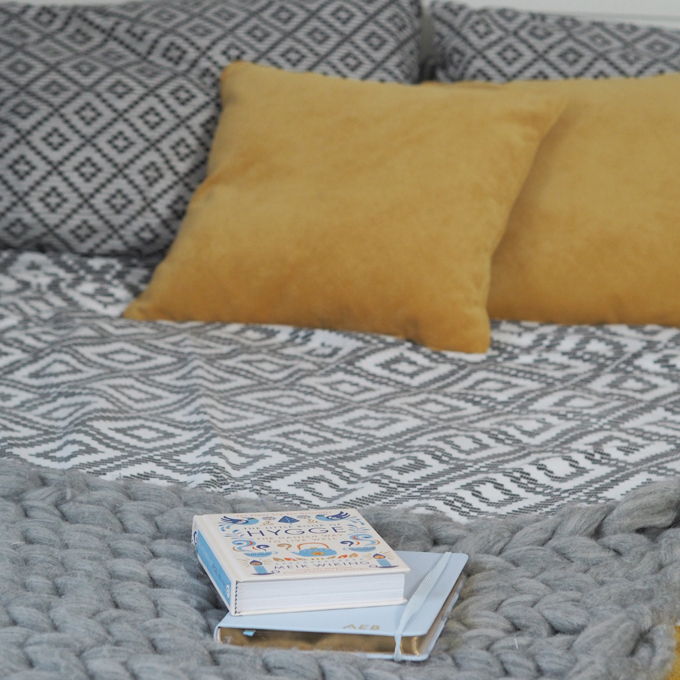 I have recently refreshed our bedding and my god, does it make a difference. We had been alternating between the same two sets of bedding since we moved in (!?) so I felt it was about time for a change. 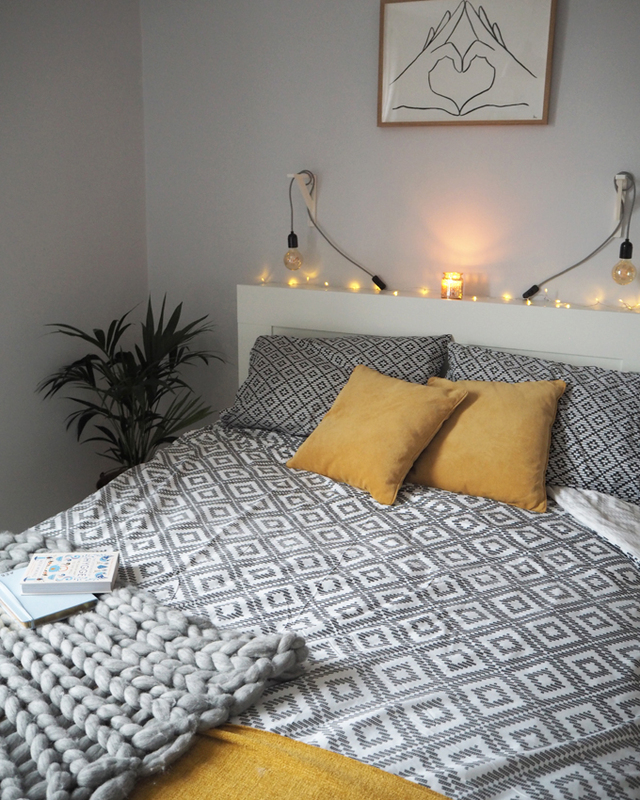 I love Next bedding so decided to go for another set of two but this time in a mono chrome geo print to fit in with the rest of the minimal decor. The one thing I find hard about living with a boy is choosing bedding that both of you will like, but I think Next bridge the gap well and this geo print is perfect, not to mention a great price. 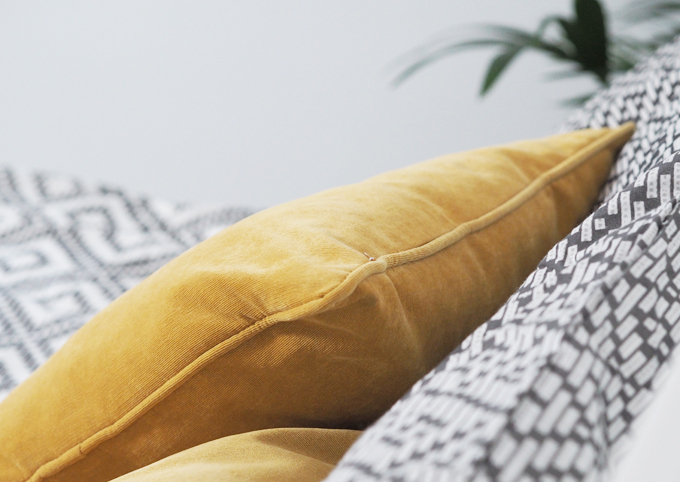 New bedding is a great way to instantly refresh a bedroom, an exciting new print can living up a room as well as your mood. If you don’t want to splash out on new bedding a cheaper option could be to add cushions or throws. 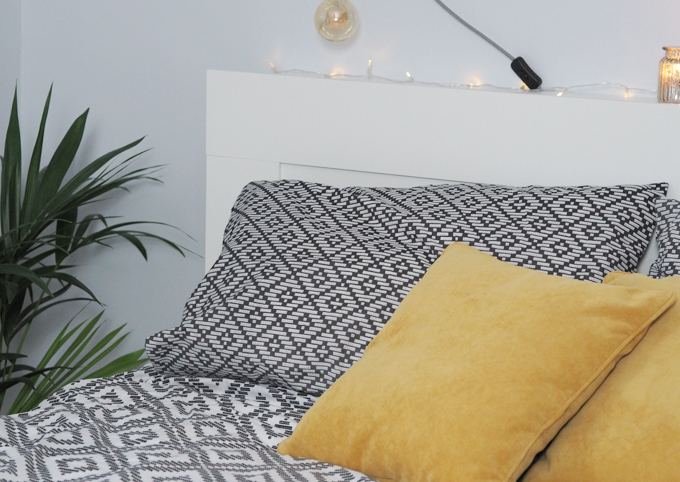 A few months ago we bought some accessories from Matalan and Zara Home in a bright yellows to help revitalise our old bedding, it just so happens that they look great with this new set too, so we kept them. 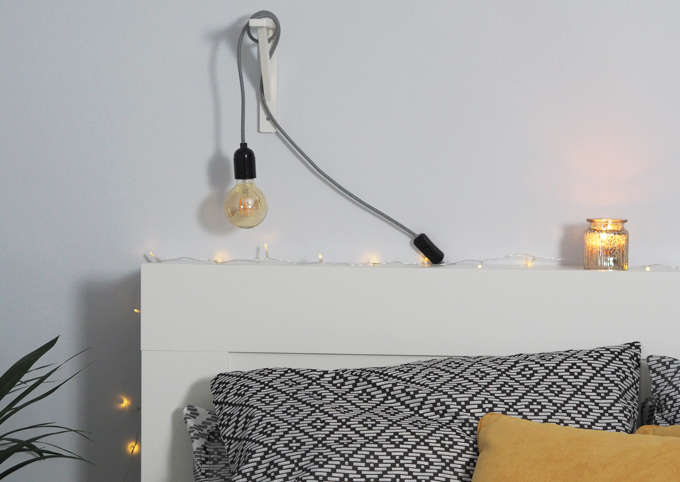 The best bit about adding smaller accessories like this to a bedroom is that they can be inexpensive yet make a big difference to a room, my yellow cushions were £6 each! You can change them quickly without any big commitment to colour or style which is great if, like me, you get bored easily. 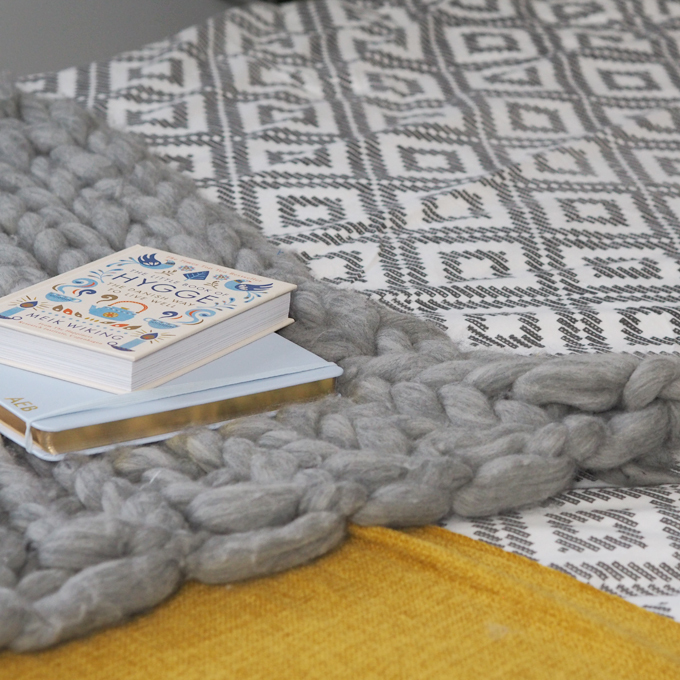 Little touches like this can help pull a room together and make a bedroom feel more homely and comfortable too. Since we moved in I have really enjoyed bringing a little life into our home by adding some plants here and there. Don’t get me wrong I am still learning how to keep our botanical friends alive, but I love how they just instantly add energy and warmth to a room. 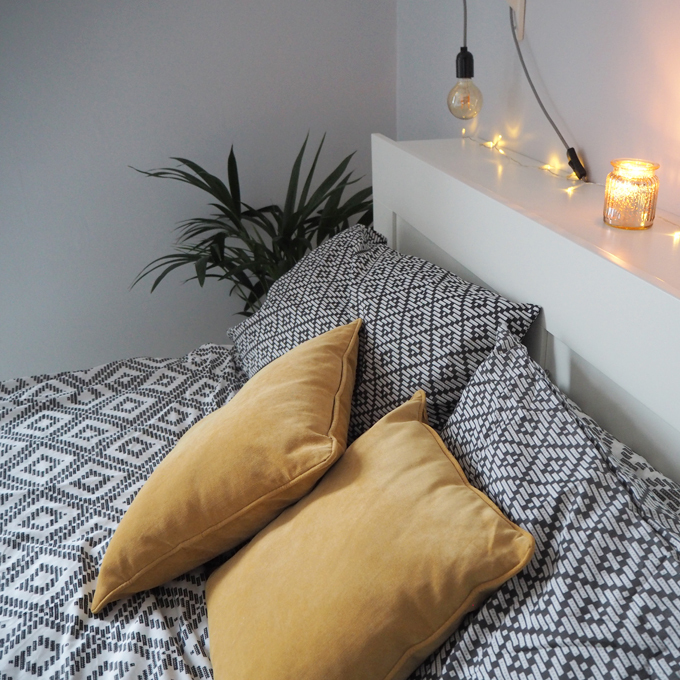 Plants are great for wellbeing so adding them to a bedroom can really help improve your mood and health, especially in the long winter months. I have gone for smaller pots on the shelf to add a little colour to my walls and a larger planter beside my bed. Whatever your price range, plants are an amazing way brighten up a bedroom without having to change any decor. 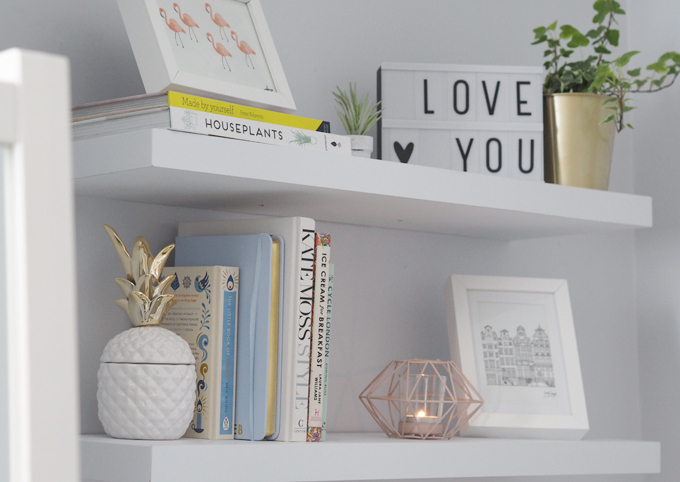 Don’t forget faux plants can be just as great for that pop of colour in a room, buy a variety of sizes and cluster them together on your window sill or dressing table for a some botanical love. I’ve been amazed at what a big difference adding some wall art has made to areas of the house recently. We have hung a few prints in our upstairs corridor and man does it transform the space! It just makes it look like an actual room now rather than just a walk way. We have also switched the frame above our bed from a picture I painted of a London skyline back in 2013 to a print my mum bought me for Christmas. This new Oliver Bonas print is clean, fresh and fits perfectly in our room. My brain was starting to ignore the old print as I had seen it a million times, so changing it up makes me really appreciate something different. You don’t have to buy something new, just moving frames to another room in the house can make you fall back in love with it again. 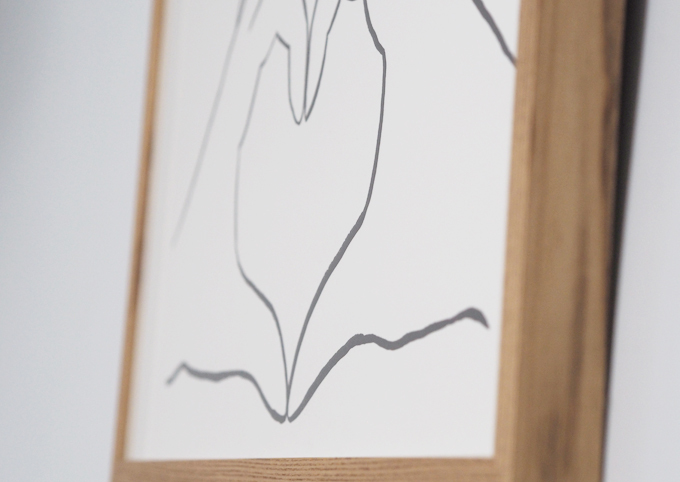 Making your own DIY art or canvases can be a cheaper option to the more expensive highstreet prints too. From adding new bedding to simply buying a plant, there are so many ways to refresh a room to suit your budget. You don’t have to spend a fortune to really see a difference. We have added to this room over the couple of years we have been in the house but am loving the recent makeover its had thanks to some fresh sheets and new prints! 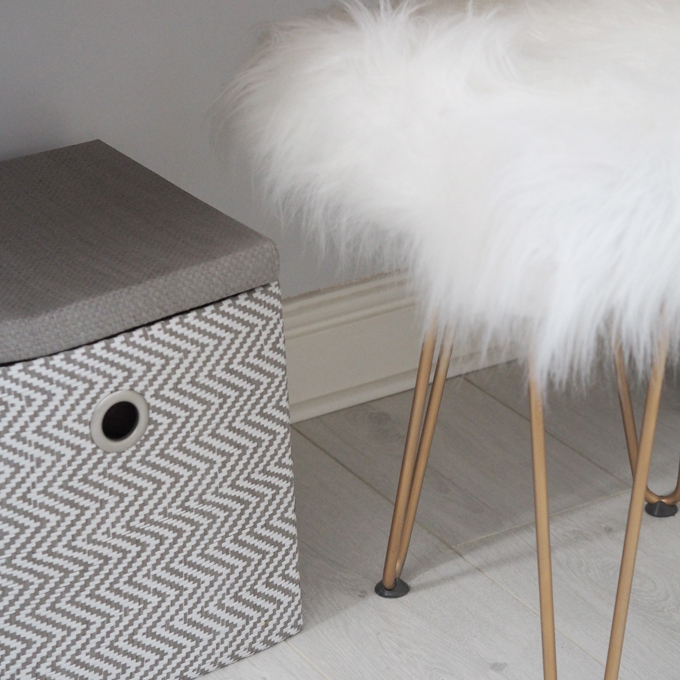 Have you had bit of reshuffle in your home lately? 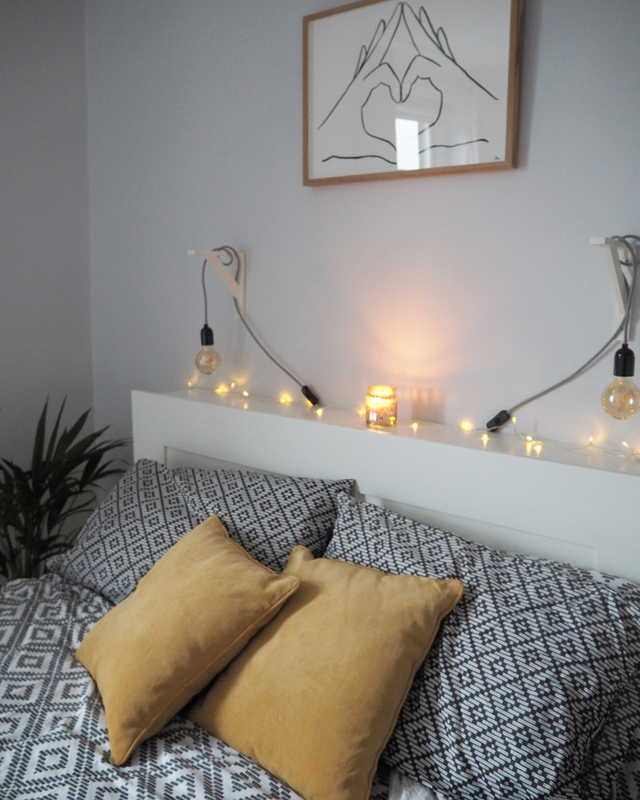 I hope this post has given you some ideas if you are thinking of giving your bedroom a new lease of life, I have loved showing you around my little space. 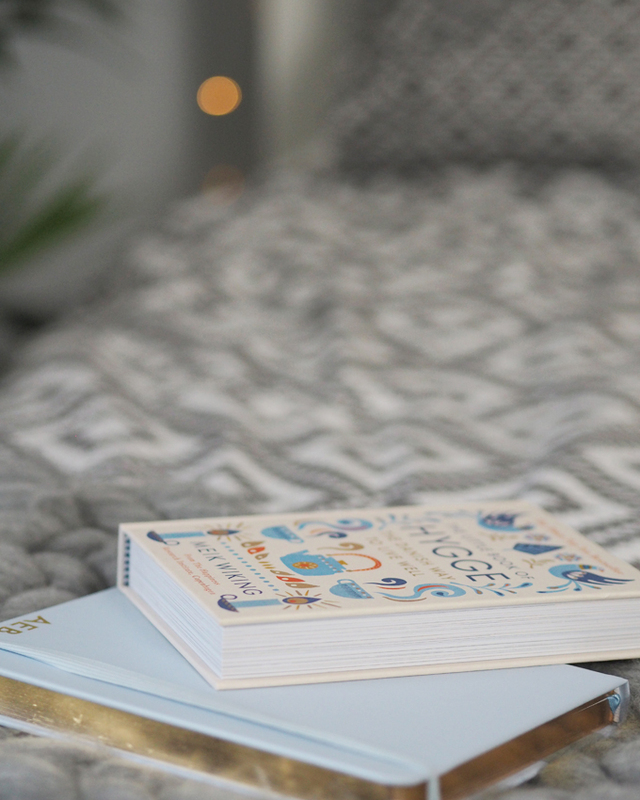 This room is one of my favourite places in the house now, I love snuggling up at night with a good book and a cup of tea. What’s your favourite spot in your home?